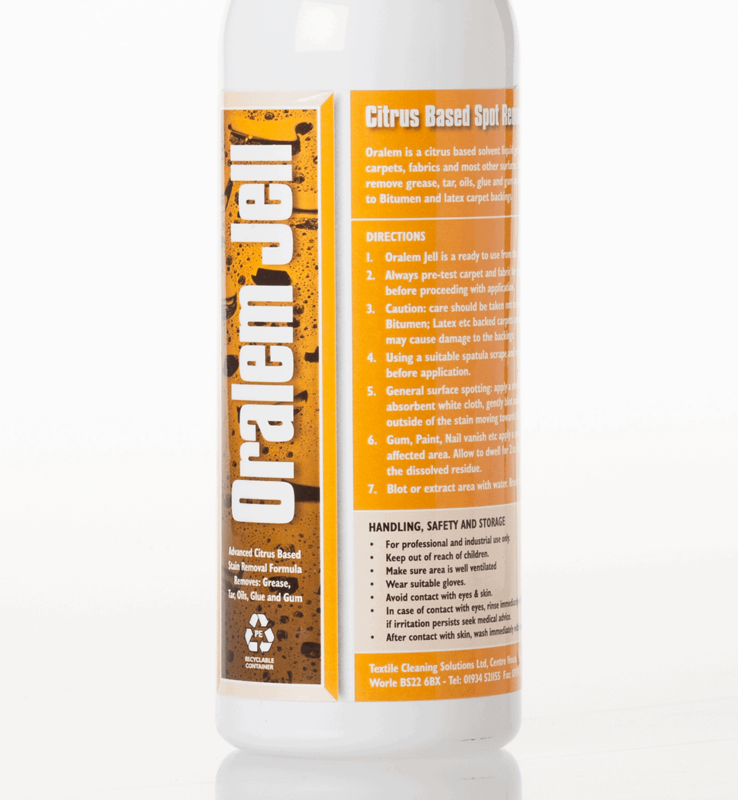 Oralem Jell is a citrus based organic solvent. Its quick action with minimal dwell times will effectively breakdown aiding the removal of grease, tar, oils, nail varnish, glue and gum. 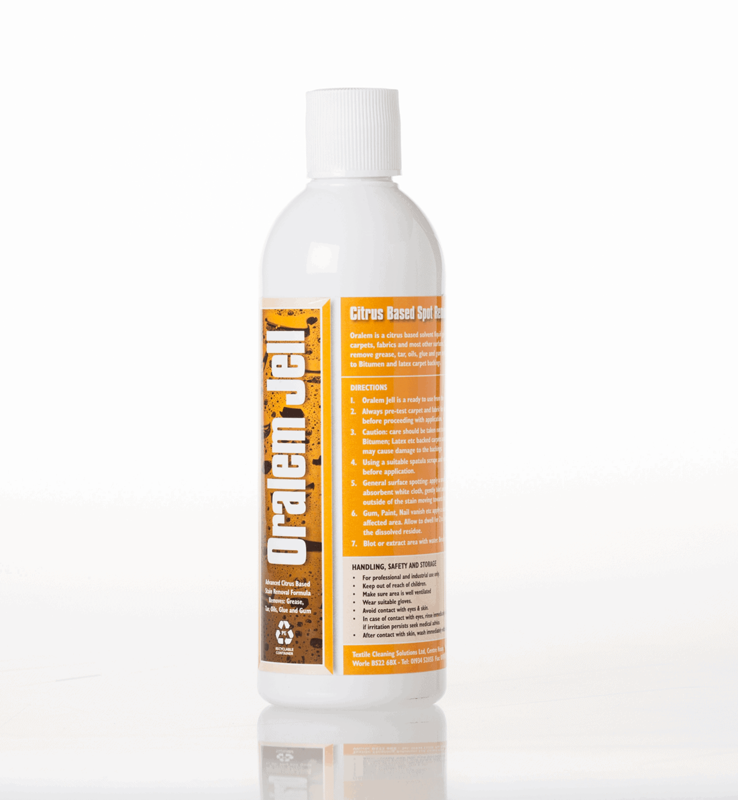 Oralem is gelled to minimise the risk of accidental damage to bitumen and latex carpet backings.